World Economic Forum (WEF) top management kept hoping till the very end that Pakistani PM, Imran Khan, may be persuaded to join the Forum’s annual meeting in the Swiss mountainous city of Davos. Sources familiar with World Economic Forum’s inside discussions reveal that Forum’s top management knew that US President Donald Trump also wanted to see Imran Khan at Davos. Pakistani PM had declined to attend by end November, but WEF management kept on working behind the scenes to persuade him. Till 1st week of January 2019, letters were being written to important personalities that were expected to persuade PM Imran Khan; last such letter was written on 3rd January by Borge Brend, President of World Economic Forum. Brend has been Norwegian foreign Minister before taking over as President of the prestigious international forum in 2017. Pakistani PM had declined to attend by end November, but WEF management kept on working behind the scenes to persuade him. Forum’s invitations were also extended to Pakistani foreign minister, Shah Mehmood Qureshi, and finance minister, Asad Umar. While Asad’s “mini-budget” on 23rd January was a plausible excuse there was no excuse for foreign minister, Shah Mehmood Qureshi not to attend. 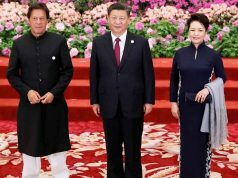 It’s commonly believed that PM Imran Khan had not permitted anyone to attend as part of his overall policy under which minister and secretaries are being discouraged from foreign trips. Forum’s top management – including founding Chairman Dr. Claus Schwab and President Brend – were eager for PM Khan to attend. WEF team saw Imran Khan as a “star” and “a public magnet” a source familiar with internal discussions reveals. However this year, there might have been another reason. While World Economic Forum teams were busy chasing President Trump, his team, in Washington, made it clear that President will also like to see Imran Khan at the Forum. Pakistani prime minister was named amongst a small wish list of the US president. Brend has been Norwegian foreign Minister before taking over as President of the prestigious international forum in 2017. Was Pakistani foreign office aware of that? Invitations for PM Imran Khan – and foreign and finance ministers – were sent via Pakistani mission in Geneva and not through the embassy in Zurich. However, a source familiar with the internal discussion insists that WEF never told the Pakistani mission that the US President also desires to see the Pakistani PM at Davos. “Americans wanted it to look like an accidental meet”, it was never meant to be a formal communication and will never be admitted, a source explains. President Trump was all set to attend the annual meeting at Davos; he publicly regretted his inability to attend on 10th January, through a tweet which sounded unusually kind on World Economic Forum and blamed the nasty democrats for creating a situation – shut down of the US government – that made it impossible for the president to travel to Davos. Imran Khan had attended the Davos meeting three times in the past between 2011 and 2013. He was invited as an important opposition leader, as “an important voice” and participated in the official panel meetings of the Forum in what is called “Congress”. Participants loved him, but Khan has missed a great opportunity; in the annual meet of 2019 he would have been the main attraction for all delegates; my source insists. WEF team saw Imran Khan as a “star” and “a public magnet” a source familiar with internal discussions reveals. Pathfinder Group, a leading Pakistani business, lead by prominent defense analyst, Ikram Sehgal, organizes a much-attended breakfast meeting each year at Davos. Imran Khan has been a Chief guest in the past. In 2017, ex-Army Chief, Gen. Raheel Sharif stole the show when his presence at Davos overshadowed the then PM, Nawaz Sharif. Justice Saqib Nisar recently retired Chief Justice of Pakistan is the Chief guest in Pathfinder’s Breakfast meeting on 24th January. Read more: What did Pakistan get from ‘Davos in the Desert’? WEF meeting in 2019 has attracted far less attention than in previous years. Key western leadership has been unable to attend for one or the other reason. Davos high point, in recent years, came in 2017 when Chinese president, Xi Jinping, had emerged as the globalization’s most vocal champion and the world had suddenly noticed a strange contrast with a United States taking positions against free trade and a Britain leaving EU through Brexit. 2018 meeting was attended by the US president Trump and Indian PM, Narendra Modi. However, most observers agree that Forum, in the coming years, has to do something to reinvent itself. Dr. Moeed Pirzada, TV Anchor and political analyst, with GNN, is in Davos on the invitation of Pathfinder Group. Twitter: MoeedNj.